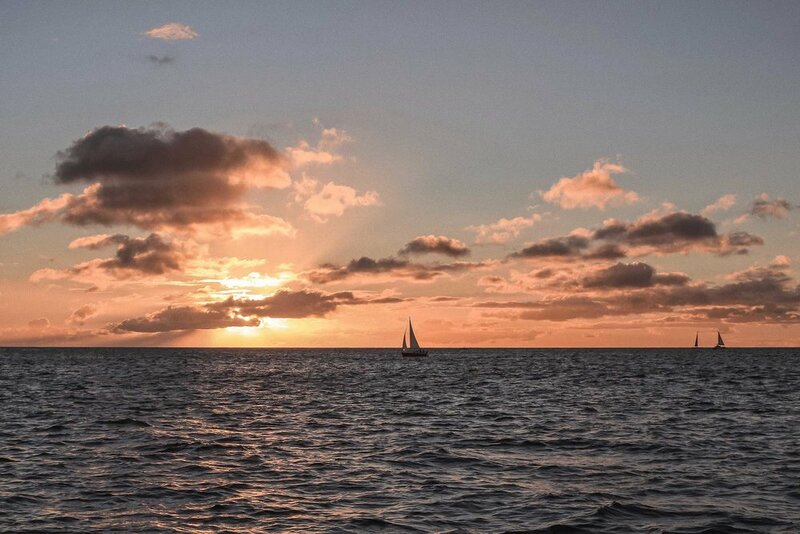 The list of things to do on Oahu is seemingly endless. 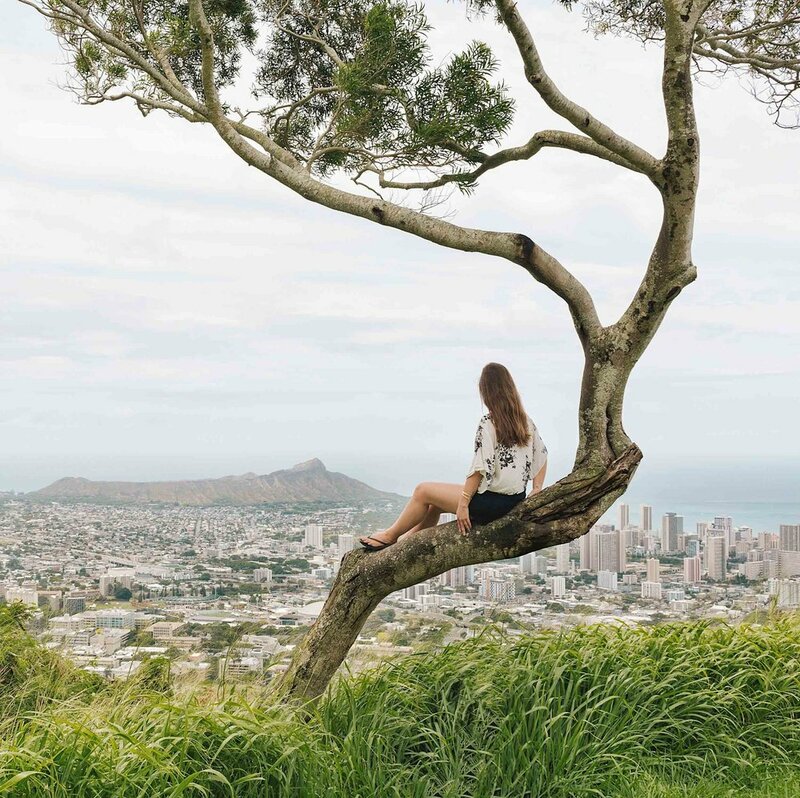 There are countless beautiful beaches, jaw-droppingly gorgeous hikes, and tons of amazing restaurants making it hard for visitors to narrow down their itinerary for Oahu to the most important things. As the daughter of someone born and raised in Hawaii, I am a self-proclaimed expert. I have visited over 50 times, most of my family still lives there today, and I even have the geo coordinates of Honolulu tattooed on my arm (the ultimate sign of love, no?). Over the course of my life, while on my 50+ Oahu trips, I have done just about everything the island has to offer. As such, I have come up with a long list of do's and don'ts. Below are my top 10 Oahu itinerary recommendations for those looking to have the trip of a lifetime! Is it your first time visiting? Click here for facts about Hawaii to know before you visit! Before we get into the top ten things to do in Oahu, let’s talk about planning tools! As a full time traveler with a LOT of experience planning trips, I have a handful of sites and tools that I cannot live without. They save me money, time, and frustration - all of which are very important for me and should be to you, too. For flights, I use Skyscanner. Skyscanner is great because they find you the cheapest flights by comparing millions of options from airlines and travel agents. Click here to find the best flight deal! For hotels I always use HotelsCombined, as you will notice in my recommendations. I love them because they compare all of the top travel sites in one spot - with no booking fee and no markup. Best price guarenteed! Click here to search HotelsCombined. When I'm not staying at a hotel, I love Airbnb. When chosen right, it provides a more local experience and you can often get a lot more space for less money. Click here to get $40 off your first stay. To get around while in city, I recommend walking, using public transit, or Uber if it's available. If you are new to Uber, use code "kbae3" to get your first ride for free. You can also use it on Uber Eats! In larger cities or those where a rental car is needed, I recommend Avis. I personally have used nothing but Avis for the last 6+ years and have only had wonderful experiences with them. The best part? When you become a preferred member you don't even have to wait in line - you just walk off the plane and head directly to your rental car. I have also found their prices to be the best. Click here to reserve your rental. For tours, museum tickets, and other activities, I recommend GetYourGuide. They are a trusted site and have lots of unique things to do along with all of the standard touristy activites. Booking everything individually can be a bit of nightmare to keep track of. With GetYourGuide you can create an account to book and manage all of your tickets in one central location. Click here to search GetYourGuide. Want to stay connected while traveling? I recommend renting a pocket-sized personal WiFi hotspot from Tep! Click here to see the latest prices. Before we get into the itinerary items, let’s talk about where to stay! 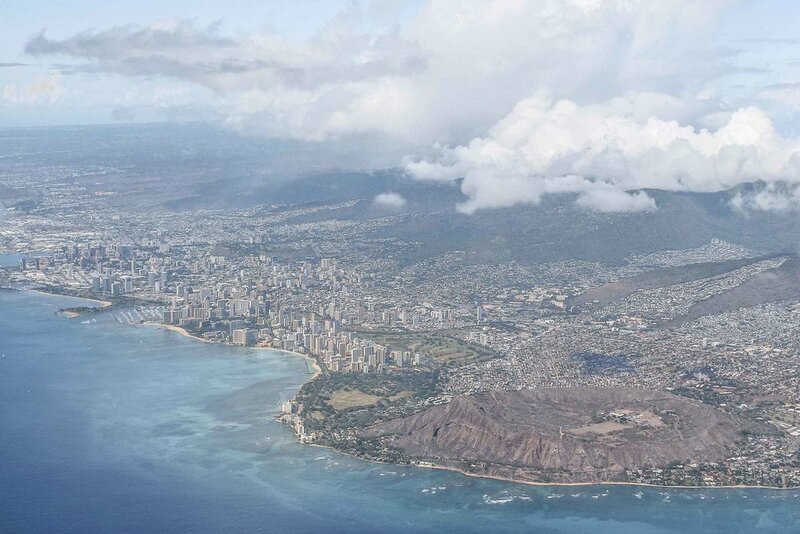 Location-wise I recommend you stay in Honolulu (including Waikiki), Kailua (home of the world’s prettiest beach! ), or the North Shore. Ko Olina is also a good option for some people. Because I have such thorough information to recommend regarding where to stay on Oahu, I have two dedicated posts that cover this. If you prefer a hotel or resort, click here for my list of the best ones. Want a more local experience? Click here for the 11 best Airbnbs on Oahu. DID YOU KNOW: when you book your flights, accommodations, and activities through the links on any of our blog posts, it helps keep our site running at no additional cost to you. We really appreciate your support! Click here to search all Oahu hotels. COMFORTABLE YET STYLISH SNEAKERS. If you plan on running around a bit this is very important! My very favorite are M. Gemi’s white leather sneakers. I literally never travel anywhere without them. Click here to see latest prices. More details: click here for why they're the most comfortable and stylish walking shoes for travel! NO-SHOW SOCKS. To go with the above mentioned shoes! I have tried so many different ones and find that most fall down under your heel (ouch) but these do not. Click here for the ones I love. SANDALS. 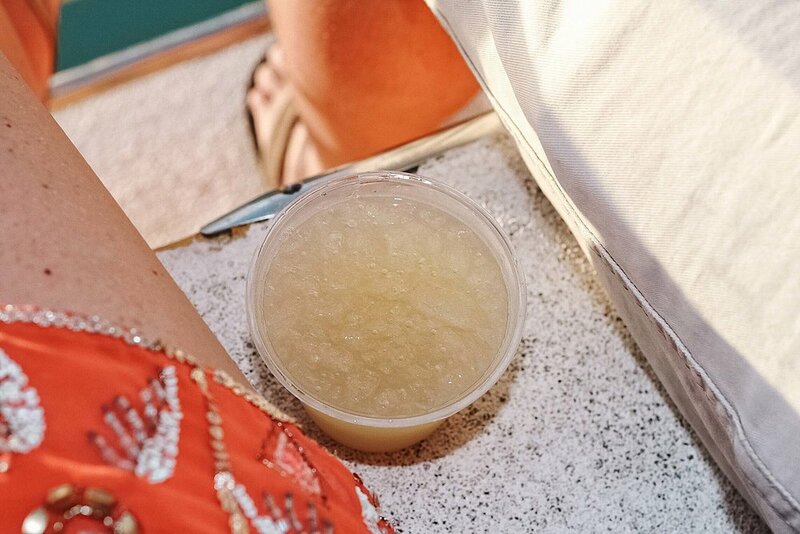 For the beach, of course! Click here for the ones I wear (I have numerous colors). SUNDRESSES. I always pack a ton of these because I throw them on everyday and they are easy to dress up or down. Click here for my favorite sundresses! I also shop for them here, here, and here. SUNGLASSES. Of course! Three timeless styles I’ve been wearing non-stop: click here for my favorite Quay aviators (I have both the black and the rose gold), click here for my round Ray-Bans, and click here for my all time favorite black on black Ray-Bans that are often hard to track down because they sell out consistently. BIKINIS. If you haven’t tried Boys + Arrows yet - you must. Their seamless bottoms are by far the most comfortable I have EVER tried (and I own over 50 bikinis). Click here for my favorite bikinis! I also love this brand (I have black + gold and the navy colorful one), this brand, this brand, and this brand. BEACH TOWEL. Do not forget towels! You will spend way more on them in Hawaii than you will if you buy them beforehand. Click here for my favorite quick drying colorful travel beach towels. SUN HAT. To protect your face. Click here for the one I am loving. SPF. Incredibly important, do NOT forget this. Click here for my favorite face SPF. I also always carry a mineral powder sunscreen brush with me at all times to put on top and lock in the SPF. Click here for the one I use and recommend. SELF TANNER. I personally don’t love showing up in my bikini white as a ghost so I always self tan prior to arrival! Click here for my favorite bronzing mousse. If you don’t have a tanning mitt (you’ll need one to apply it), click here for my new favorite. For your face, I am loving these self-tanning drops that you mix into your moisturizer. Click here for those! I use the dark ones. REUSABLE WATER BOTTLE. Traveling makes you dehydrated as does sunshine so please do not forget this (and PLEASE do not buy single-use plastic ones instead). Hydro Flask is the best because it keeps your drink cold (or warm). So worth the investment. Click here to see the latest prices. For a full list of what to bring to Hawaii, click here for my Hawaii packing list. Also, subscribe below to get our free downloadable guide and we’ll also send you some step-by-step help to plan the Hawaii trip of your dreams! Whenever my friends or people I know go to Oahu and stay in Waikiki the entire time they all end up hating it. Because of that, let me start out by saying do not spend all of your time in Waikiki. Waikiki is a great place to stay but if you do stay there make sure you rent a car so that you are able to get to items 1-9 below! My local’s guide to the best places to eat on Oahu has a lot of Waikiki spots I recommend stopping by. If you have free time at night, walk up and down Waikiki. There are street performers, parrots, and other fun things to check out! Also try a sunset cruise if that is of interest to you. If you want to spend the day (or two!) feeling like you're in the real life Jurassic Park or need a fun break between restless beach days, look no further. Kualoa Ranch is a beautiful ranch between Honolulu and the North Shore where many famous movies were filmed - Jurassic Park, 50 First Dates, Pearl Harbor to name a few. It is a must on your Oahu itinerary. They offer countless different tours and adventures, everything from horseback rides to ATV tours to their new treetop canopy zipline tour! I have done most and would highly recommend them all. Click here to see all the different options. PS. Secret island (#4 on this list) is also here! One of the best things you can do while visiting Oahu is to take advantage of the beautiful hiking options. There are trails for hikers of all experience levels and the photo opps you'll get can only be captured on foot so get out there and explore! I would recommend making at least one of the below hikes part of your Hawaii itinerary. For a quick and easy hike with a beautiful view check out Diamond Head. Also with beautiful views and still fairly easy is Lanikai Pillboxes. Click here for a guide to the Lanikai Pillbox hike. For a moderate jungle hike try Tantalus. And, if you are in for something extra difficult, try my favorite of them all - Kokohead. Go before sunrise as there is no shade whatsoever and it gets HOT. Kayaking anywhere in Hawaii is gorgeous (of course) but my go-to is from Lanikai beach to the mokes. 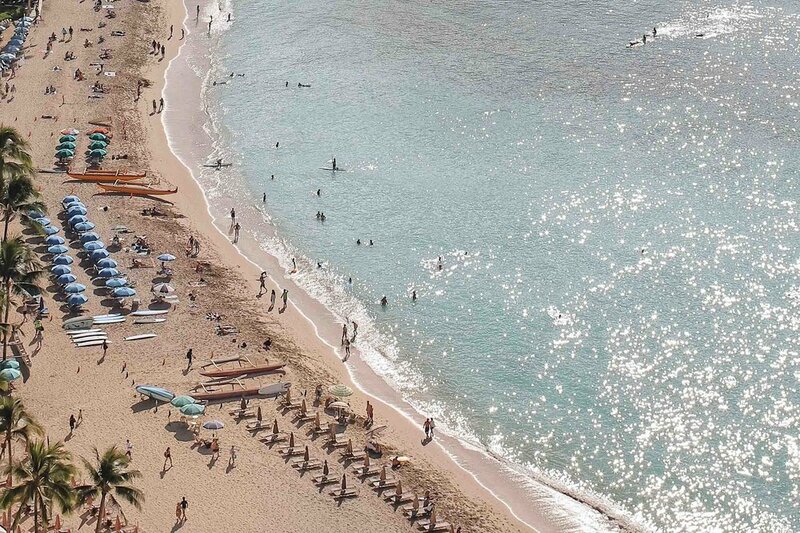 For kayak rental check out Hawaii Beach Time, they'll bring it right to you at the beach! When visiting Oahu you can absolutely not miss a visit to the North Shore. The North Shore is the most remote and by far the most beautiful, in my humble opinion. Haleiwa should be your North Shore destination and I'd recommend making numerous stops on your way and while there. Click here for a local’s guide to visiting Oahu’s North Shore. Haleiwa Joe's at Haiku Gardens is my favorite dinner spot in all of Hawai'i - and that's saying a lot coming from someone that has visited Hawai'i over 50 times! This is especially important if you are here because you’re looking for the perfect Hawaii honeymoon itinerary. Dining here makes you feel like you are eating dinner in Jurassic Park and to make it even better, the food is also to die for. If you’re looking for an Oahu 3 day itinerary or even just have one day, this is a must. Go early, put your name in (make sure you request a table on the edge so you have a clear view) then walk around the gardens below until your table is ready. It is a 15-30 min drive from Honolulu, depending on traffic. Note: there's also a Haleiwa Joe's in Haleiwa, but I specifically recommend the Kaneohe location at Haiku Gardens. If you are looking for a beach that is more remote, Secret Island (part of Kualoa Ranch) is my go to. If you’re looking to fill an Oahu itinerary 7 days, I would add this to the list. If you have less time than that it might not be the best use of your time depending on how much beach time you want to spend. Although not free, buying a ticket gets you access to the beach and unlimited activities such as standup paddleboarding, kayaking, beach volleyball, etc. for 2.5 hours. I would consider doing this in the morning and then taking a tour of the ranch in the afternoon. Pricing varies depending on age and season. You can find more specific info on their site by clicking here. DO NOT MISS THIS! Lanikai Beach is my favorite beach of all time and is often listed as one of the best in the world! Try to get there for sunrise or stay for sunset, not just for the views but also to avoid the crowds (it is quite popular these days). If you're looking for an activity, consider kayaking to the mokes. For kayak rental check out Hawaii Beach Time. Alternatively you can hike to the nearby Lanikai Pillboxes when you are sick of the beach. A doors off helicopter tour is hands down THE most beautiful way to see the island. Going the doors off route makes for completely unobstructed views so if you are interested in the photo opps provided from a helicopter, there is no better option. Click here to see the latest prices and reserve your spot! If you need a place to rent a good lens, Hawaii Camera Rental was very helpful. I used the Canon 24-70mm f/2.8L II for my trip. 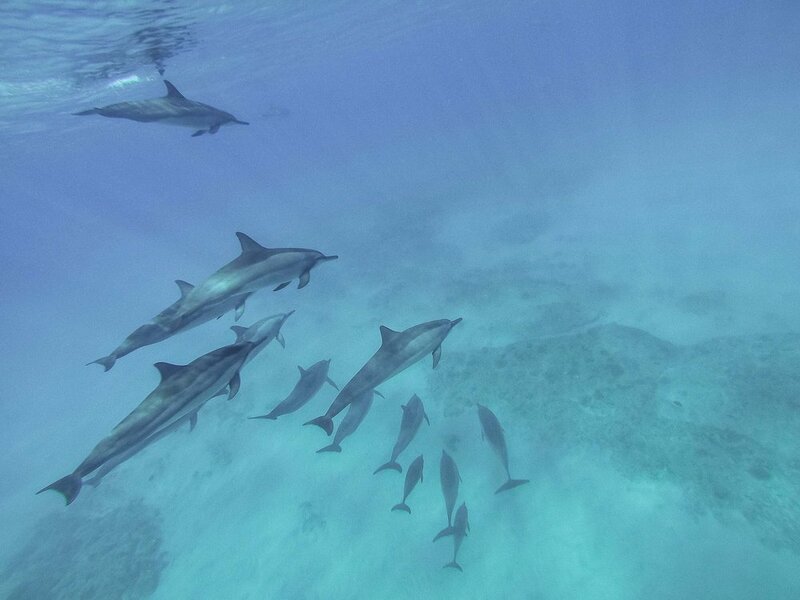 Swimming with dolphins in the wild is a truly magical experience that should be made top priority while visiting Oahu. I love it so much that I've done it a handful of times already! Dolphin Excursions is the company I recommend using. They will provide you with you roundtrip transportation from Waikiki or Ko Olina if needed. Click here to see the latest prices and reserve your spot (they sell out so do this now). Click here to read my full review of the Dolphin Excursions tour!